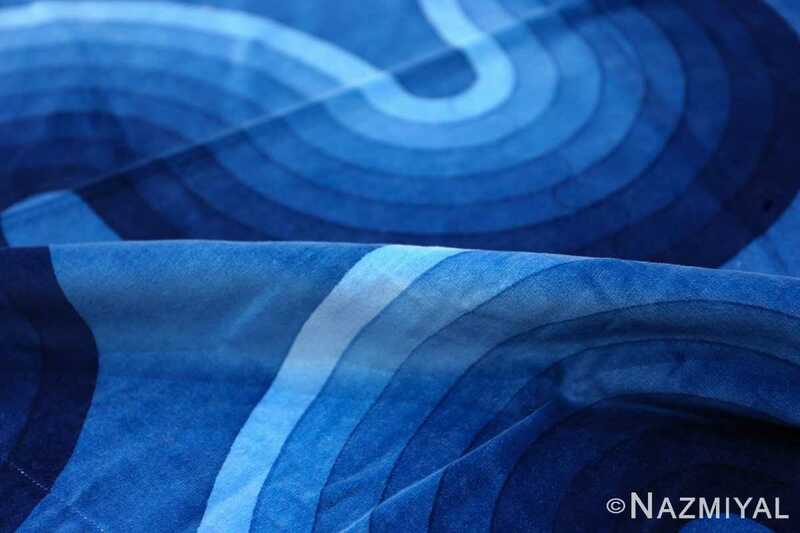 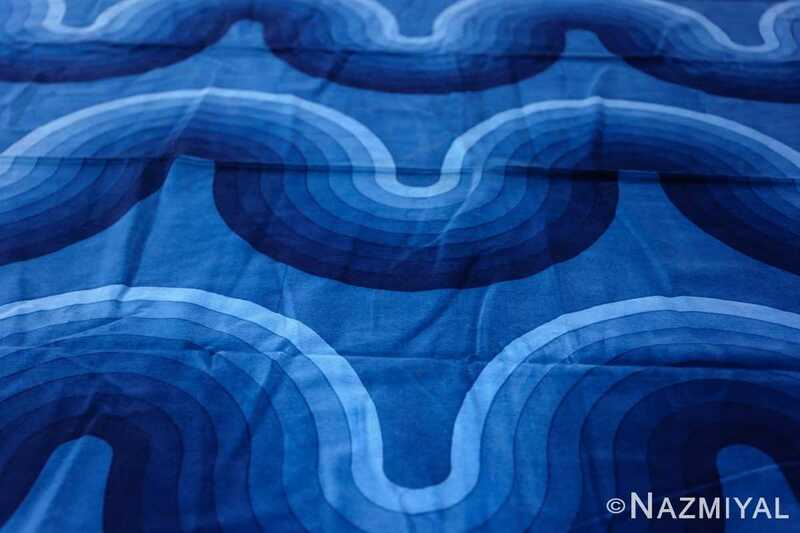 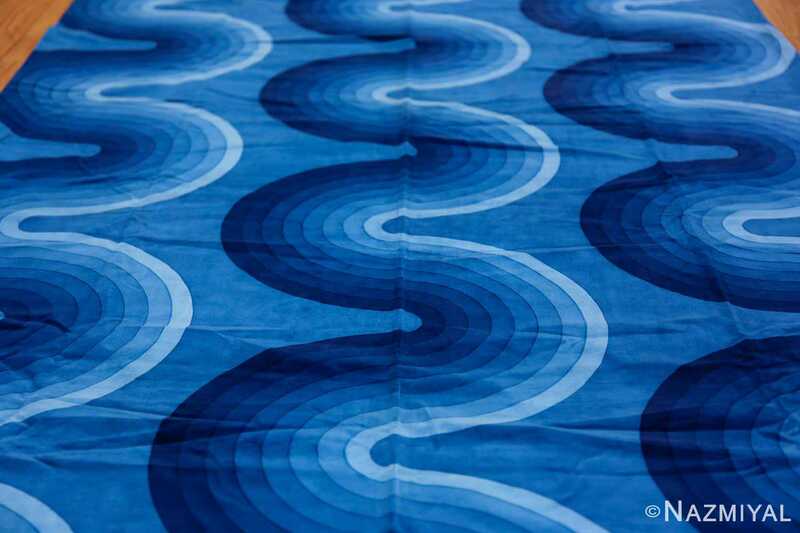 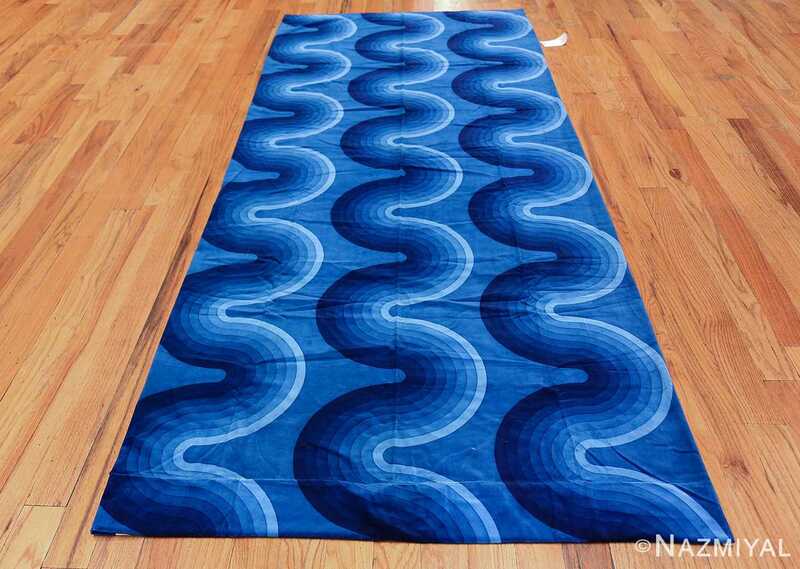 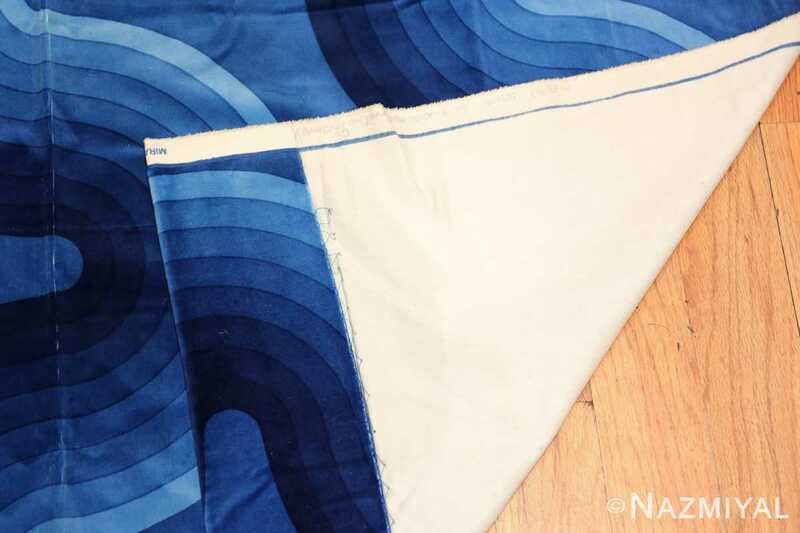 Vintage Verner Panton Kurve Textile, Country Of Origin: Denmark, Circa Date: Mid 20th Century — This blue textile exhibits a signature “Kurve” pattern by the iconic Verner Panton. There is an organic flow vitalizing this piece: the deep aqua hues cast in a repeated curling pattern are reminiscent of the ocean at night as cool dark waves wash smoothly upon the shore in shadows. The brightest blue color on the innermost lines of the repeated trio is what the eye is instantly drawn to in this textile – the color is electric, pulsating, especially how it is placed against a deep navy backbone that allows the highlight to shine freely. Considering the color choice and design, this composition feels animated and flowing. 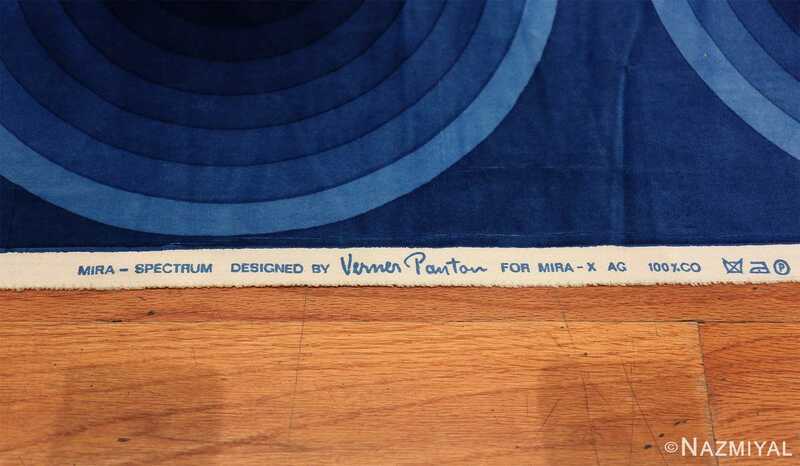 Verner Panton was well known in his extensive design career for his innovation and futuristic style.